“The difference between ordinary and extraordinary is just that little extra"
Opulent, comfortable surroundings with sink-into sofas inside and glorious, fragrant gardens outside, ours is a quintessentially English country house experience – an escape to a tranquil corner of England where time moves more slowly. It’s the little touches that make us so special. Arrive to our bespoke scent: a woody, smoky fragrance that reflects the oak paneling and polished herringbone parquet flooring. The tick of a clock. Flowers placed in your room every day, and freshly-brewed tea or coffee brought to you with our compliments. Scented goodies from The White Company, and fluffy bathrobes for every guest. In the main house, 22 sumptuous bedrooms and suites combine comfort with sophistication; creating the perfect space in which to unwind. Some have glamorous four-poster beds, others have traditional wood paneling and large lead-lined windows with views of our beautiful gardens. In the Gertrude Jekyll-inspired grounds, two new Hay Loft suites have been created in a barn dating back to the 1820s. With interior design drawn from the British countryside, the luxury duplex suites feature free-standing baths, walk-in drench showers, Nespresso coffee machines, and a complimentary decanter of seasonal gin. 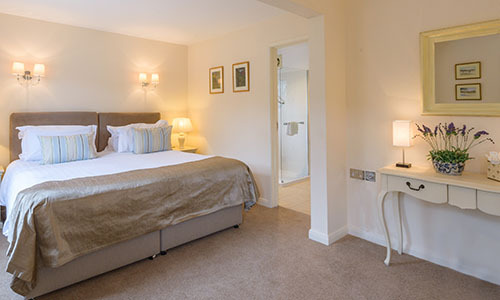 The Montagu Arms has 24 sumptuous bedrooms and suites, combining comfort with timeless sophistication. Enjoy relaxed self-catering holidays in the New Forest at Pittefaux cottage. 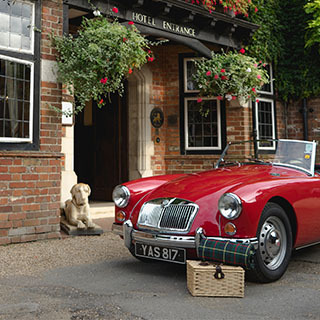 Make a stay at The Montagu Arms Hotel extra special with one of our Celebration Packs.